Dr. Eric Kleerup graduated the medical school from the Washington University School of Medicine and then he completed his residency program at the VA Greater Los Angeles Healthcare System. 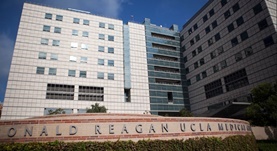 A fellowship at the UCLA Medical Center followed soon after that. Dr. Kleerup is specialized in pulmonology and board certified in critical care medicine and pulmonary disease. He has been practicing medicine for more than 20 years and is now affiliated with the Ronald Reagan UCLA Medical Center. During his career, he has also contributed to numerous publications of medical interest. Dr. Eric Kleerup has contributed to 3 publications. Novel relationships of markers of monocyte activation and endothelial dysfunction with pulmonary dysfunction in HIV-infected persons. Fitzpatrick, M. E.,Nouraie, M.,Gingo, M. R.,Camp, D.,Kessinger, C. J.,Sincebaugh, J. B.,Clarke, A.,Ries, J. W.,Kleerup, E. C.,Kingsley, L.,Morris, A.; AIDS. 2016 Mar 19. Tashkin, D. P.,Volkmann, E. R.,Tseng, C. H.,Kim, H. J.,Goldin, J.,Clements, P.,Furst, D.,Khanna, D.,Kleerup, E.,Roth, M. D.,Elashoff, R.; Ann. Rheum. Dis.. 2014 Dec 03. Differences Between Attendings\' and Fellows\' Perceptions of Futile Treatment in the Intensive Care Unit at One Academic Health Center: Implications for Training. Neville, T. H.,Wiley, J. F.,Holmboe, E. S.,Tseng, C. H.,Vespa, P.,Kleerup, E. C.,Wenger, N. S.; Acad Med. 2014 Dec 18.